What would the rest of your life look like if you remembered your purpose for being? What if there was a way for you to remember who you truly are? Are you ready to live more artfully, sacredly and skillfully? Do you want a life that expresses your values, visions and talents? Back home, in what my experience in Caravan has led me to call the horizontal world, I find my things curious. Who is this person and why does he have all of this stuff? In Caravan, the question of possessions is unclear to me, though I suspect owning anything might be unnecessary… I survey this coach house as if it belongs to a stranger. I see the tools of the trade of a graphic designer/illustrator...the remnants of a life as a professional musician... that most of what I see is directly tied to the professions of my life says something in itself. I feel the weight of my things. I feel the weight of my stationary life in the horizontal world. The evidence of my intention, or lack of intention, surround me. Some priority is apparent in my home, although it doesn’t connect to me yet. I feel a kind of detachment from it. These things are mine and not mine. Who is this man who has this life who owns these things? What is his life about? As I scan my house, as I walk through it, I feel the children weaving among the pilgrims in Caravan. Each thing has a story and each story has people who shared a moment and movement in the dance. I can imagine the people connected to each piece, people I have met and haven’t met. I can feel the threads that connect my life to the endless weave in both worlds. The long-awaited Caravan has arrived: a story, a journey, and a call to live a life of authentic purpose. Crafted by Daniel Goodenough, an experienced life-coach and co-founder of The Way of the Heart, Caravan looks at the question of life’s purpose in a fresh, creative way. Ever since he was aware that he was aware, as he would say, his dedication to helping people discover their true calling has never wavered. 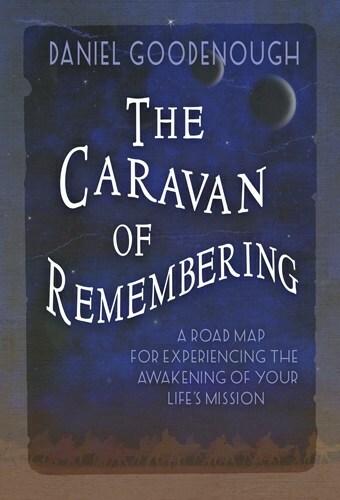 Thousands of hours of research and meditation, above and beyond the famous number of 10,000 necessary hours of conscious practice, have gone into articulating this process, which is now available to us as Caravan. One intriguing bit of research suggests that if athletes intensely imagine they are performing their sport, they actually improve. This, mind you, is from a chair in the living room. If, for example, I am an archer, I can concentrate on pulling back the bow, in my mind’s eye. I see myself putting into place all the concentration and movements I have been trained to do as I let that arrow fly. 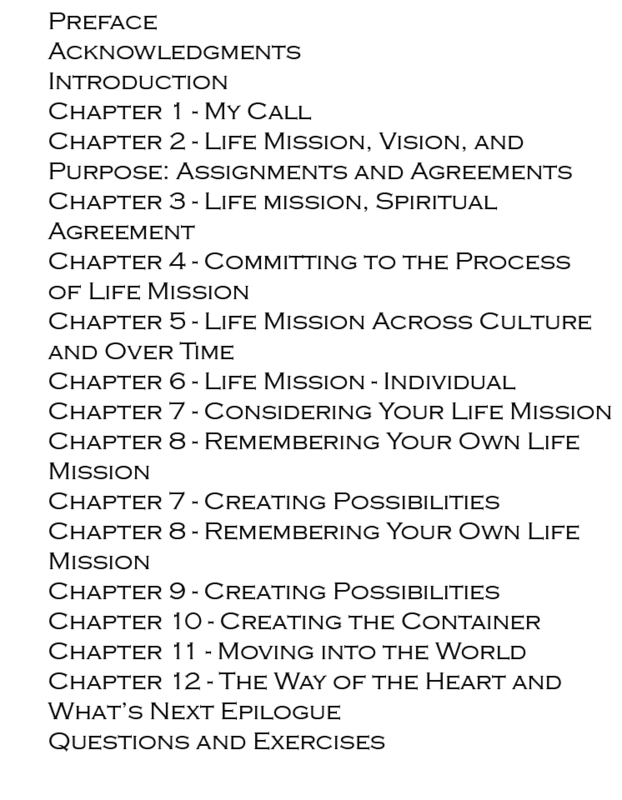 This strategy of using the imagination to understand our life mission is the genius of Caravan. The great Sufi, Ibn al’Arabi, understands the imagination as a faculty of the soul, which marries the sensory world of form with the formless world of consciousness. For the Sufis, the imagination is an important tool of realization. Caravan allows us to enter into this imaginal world, bringing together the sounds and shapes of the desert with a new awareness of life mission. In Caravan we enter the mind of a person very much like ourselves, someone with a work life as a graphic artist, who rents a place to live, who will be involved in a budding relationship. He has his favorite haunts: the bookshop, the coffee shop. And somehow a more spacious reality in the figure of Verity intervenes. He’s walking in the park; he’s in another world, the world of the desert. It’s a great pleasure for us as readers to suddenly find ourselves tagging along for this experience. What would it be like to suddenly find yourself in the desert? Imagine yourself as a part of a caravan with camel bells tinkling and other wanderers gathered around a campfire, guiding you to remember. In his masterful story, Goodenough introduces us to the features of what it might be like to be called to something greater than yourself and yet something that you yourself are very much a part of. Through the course of the main character’s journey, we embark on a pilgrimage to a deeper, richer part of our own knowing. We are invited to think about the kind of story we tell about our lives, and to reflect on other ways of talking about our personal history. If we tell our story differently, is that a way to develop, to broaden and to grow? The thrill of taking part in Caravan, part adventure, part science fiction, part personal growth, is that we are never subjected to pointed personal remarks aimed toward remaking our personality. No, instead we are invited to watch, to witness, and to imagine what it would be like to be a pilgrim searching for our life’s purpose. And we are talking here about a modern pilgrim, one who will benefit from Daniel’s on-going research into the evolution of many of the important fields in our time: physics, biology, psychology, sociology, visual and performing arts, neuroscience, computers, business and spirituality. Daniel’s unique gift is that he is artful in his guidance. He is fond of quoting Rumi, who says, “Let the beauty you love be what you do.” And in the nineteen years I have known him, Daniel has held to this. It’s what he does, and it’s what he helps others to do as well. Love what you do. Do what you love. The desert appears in the world’s great spiritual traditions, including the desert fathers whose spiritual insight Thomas Merton sought out from his monastery in Kentucky. Also the great stories of our time, such as Laurence of Arabia and The English Patient, bring us to a new understanding of our humanity, which comes to us in the desert. We need the desert to find that part of our being where our longing can be most deeply felt. The desert intrigues us, I think, because we need help in finding our way. The desert is the home of Khidr, in the Sufi tradition, the green man of the desert, who is the ultimate guide. Here, in Caravan, the guiding is done both in community and in individual sessions. And isn’t that our own experience? Our child has an insight, the person clerking our groceries offers a pertinent remark, a friend tells us about making to-do lists in which there is an intriguing column: important but not urgent. Then somehow we resonate in a new way about our lives. Likewise, in Caravan we are introduced to figures who are larger than life, including Kairos, whose being invites us to contemplate the way that eternity enters into a moment. All of this allows us to move toward a deeper appreciation of why we are on this planet we love so well. The Tibetans have a term called “skillful means,” used when there’s a need to address our natural resistance to moving into a new way of understanding ourselves and our world. Daniel is very knowledgeable here as well, having had years of practice in helping people move safely and surely out of their comfort zone, through unaddressed grief, disconnection to Spirit, doubt and fear, and in short helping us get out of our own way. The art of Caravan is that it is a full-on exploration of our essential questions: Why are we here? What brings us real happiness? Who can guide us in our lives and towards what? If we imagine our heart as a fertile field, Caravan excites that soil, turns it and works it so that we are open in a new way to our life’s journey. It is something of a relief as well as a thrill to hand ourselves over to this journey: to see the absolute desert at night, flat, dark, rich and full of promise. To imagine our lives beginning to move in a new way towards a new place that is already deeply familiar. Daniel Goodenough has written Caravan after years of immersing himself in the questions brought to him by thousands of students in the The Way of the Heart program. A thinker, a humanist, and a man of Spirit, Daniel is generous, focused, and alive to this particular need of humanity: to find our life mission. He presents us with a method that is unique in helping us come to grips with our humanity. He deepens our appreciation of our search and ourselves as we travel inwardly to our center and outwardly across our beautiful, luminous planet.